Meghan Daum's new book is stirring up controversy around the country. 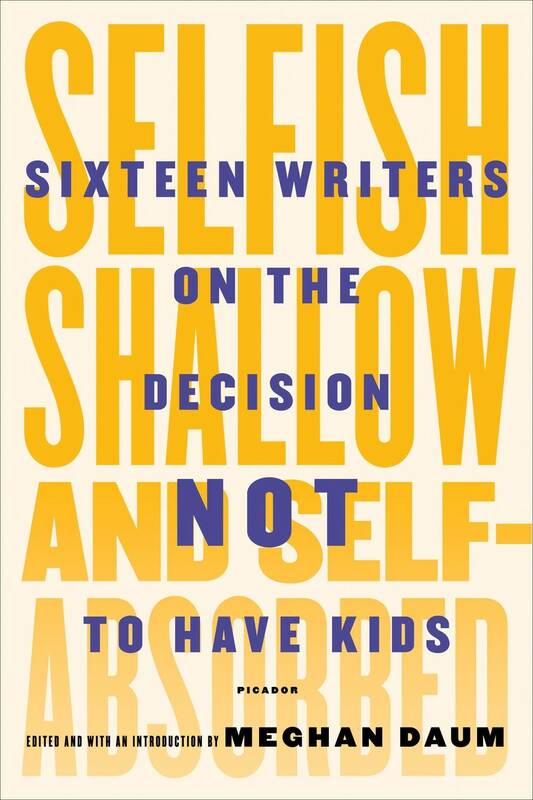 Even the title hits a nerve for some: "Selfish, Shallow and Self-Absorbed: Sixteen Writers on the Decision Not to Have Kids." Daum edited the collection of essays, some of which she admits readers find "enraging," but offer important perspectives nonetheless. Spurred by her own experience in choosing not to have children, Daum wanted to bring the conversation beyond the superficial jokes she often hears: "My reason for not having kids is that Porsche in the driveway!" The included essays offer a variety of reasons for making the choice, ranging from personal histories to political sensibilities. Daum included both men and women in the collection, something she felt was critical. "Male voices have been almost entirely absent from this conversation for as long as it has been going on," Daum said. Daum joined MPR News' Kerri Miller to discuss the collection and the impassioned responses she's received from people on all sides of the issue.